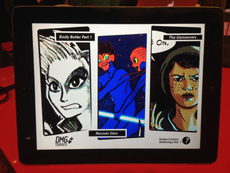 We've built a system to create them all for release on iOS, Android, web and PC/MAC and want to collaborate with creators to make the next generation of digital comics. Check out our Comics page for details. Build up a world piece by piece using the power of the god-like Fates, while keeping them happy enough to avoid world-shattering temper tantrums. Get Early Alpha access now via the Humble Widget on FateTectonics.com. 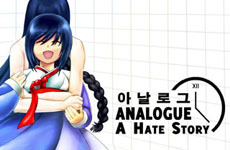 We're working with the very talented Christine Love to port Analogue: A Hate Story for iOS. Work is underway and we're hoping to complete it as soon as possible.